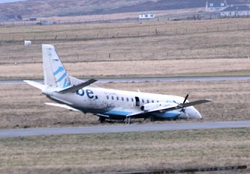 On take-off from runway 18 in stormy weather with guts peaking above 30 knots , the Saab 340 veered to the left of the runway until it departed paved surface and ended on soft grass beneath. Its nosegear collapsed before it came to rest. 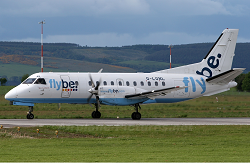 At least two passengers suffered minor injuries. 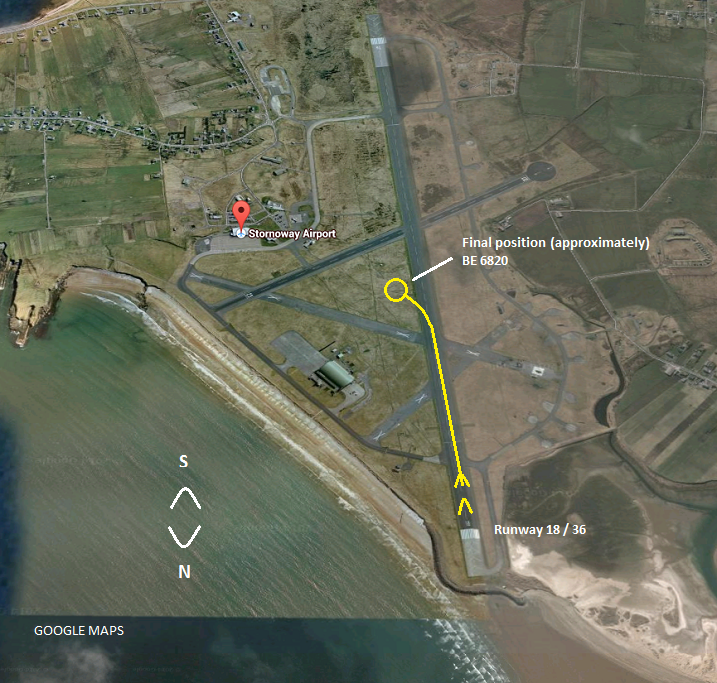 Stornoway´s main runway 18 / 36 is 2,315 m in lengh.